And You Don’t Even Need to Be “Techy” to Use Them! Do you know that “bad actors” on the internet will try to infect your site with malware and spam in ways so subtle that you don’t even know they’ve done it? And often they aren’t after your secrets, they just need your website to help them blast spam emails, practice negative SEO, or host hundreds of advertising pages you don’t even know about. In they process they can hog your website resources and earn you or other websites a bad reputation with Google. For that reasons you need to be able to quickly check your website for unwelcome intruders. Of course there are lots of more technical tools for doing this (if your site is running WordPress our favorite tool for checking and protecting is Wordfence). In this video we take a look at a number of other tools that require no technical expertise to use, and we find that they are not all created equal. By the way, if you discover that malware is infecting your website, you will need technical help, so be prepared. But whatever you do, don’t ignore this issue. It’s one of the first things we do when we’re doing an SEO Audit. Hi, everyone. 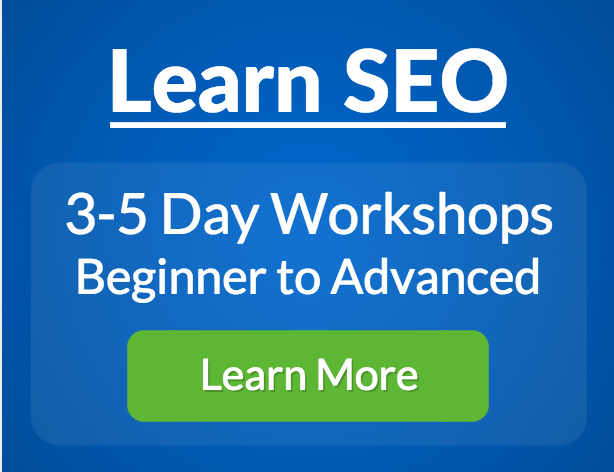 I’m Ross with Horizon Web Marketing, and I’m here with another SEO Audit How-To. 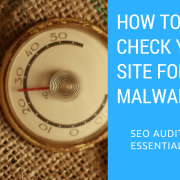 So, we’ve been working our way through the SEO audit checklist that we use internally when we do an SEO audit on a site and giving you little tips on how you can clear items from your audit checklist. Let’s take a look at the checklist. As we scroll down under the technical factor section of the checklist, you’ll see that one of the sections is security issues, and I’ve done another video that talks about how we can clear these two items. Is the site using https, and is that being served consistently? Today, we’re going to talk about this question, is the domain clean of hidden malicious code? Now, you may think that your domain is as clean as a whistle, but on the other hand, the people that are out there planting malicious code on websites often do a pretty good job of not letting you know that they’re around. And don’t be going according to the assumption that every time someone hacks into your website, they want to steal something from you. Often they’re hacking into your website so they can do things like blast out spammy emails or put up advertising pages that you don’t know about using your domain, and now also they might use your domain for something called negative SEO, where they plant a whole bunch of really lousy links to other websites to try to take them down, and you’re just the unwitting host of this. So, here’s how we go about checking a site, and before I do that I’m going to show you this article here and I’ll put a link to this article. 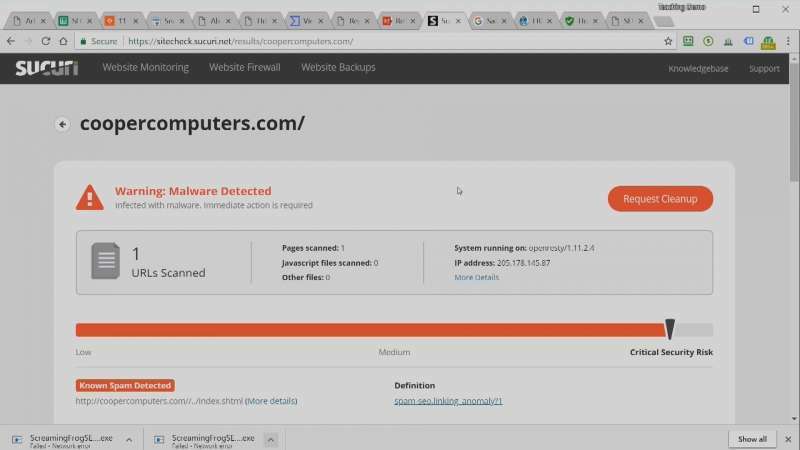 It’s a pretty good one, “11 Awesome Tools for Website Malware Scanning.” So I went through there, and I actually saw some tools that I didn’t know about before. They’ve got a list of some. Now, many of these tools are ones you have to install on the backend of your site. What we’re going to focus on today, with the exception of Google Search Console, we’re going to show you tools where you don’t have to have login privileges in order to check out a site. So, if you do have, when it comes to your own site that you own, probably the first place you’re going to go is to Google Search Console. Now, if you’re not familiar with Google Search Console, you need to change that, and we’ve got some videos that show you how to get set up with it. 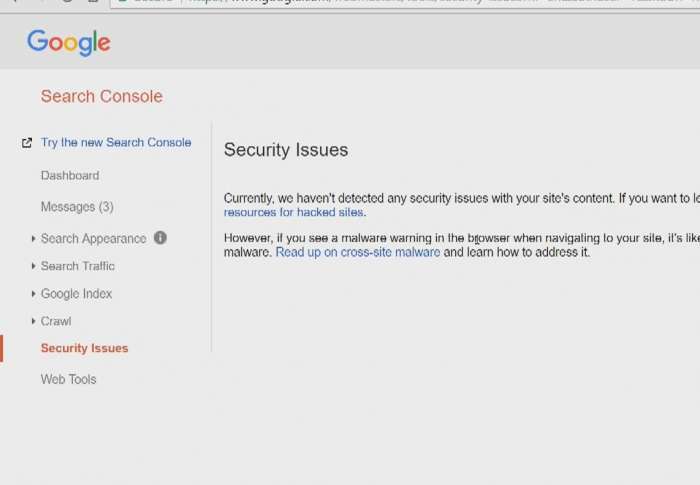 When you’re within Google Search Console, on the left you’ll see that there’s a choice called Security Issues, and when we click on that, if Google has picked up on any malware, any malicious code on your site, they’re going to give you a notification here. 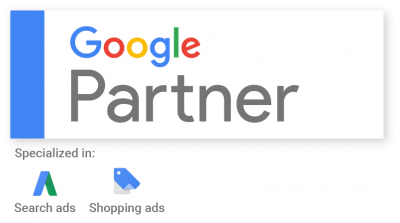 So typically, they’ll push a notification to you if you have your email entered into Google Search Console, but as a matter of course for sites that we maintain, we make it a practice to check this at least once a month, make sure that Google hasn’t picked up on something that we’ve missed. However, this is a cursory check. It doesn’t catch a lot of stuff. I have had it catch security breaches before, but I don’t think it always does that. Now, some of the checkers that are listed on that page that I showed you are not that great at catching code, so what I did is I decided to go to a website that I know has malware infection because I’ve been following this website for years because they’re a host for what we call negative SEO and have actually been used to launch attacks on at least one of my clients. So, I’m going to go to this website, and here it is. It’s called coopercomputers.com. It’s still up and online. You can see that it’s like an abandoned site. If you dig down into this domain, you’ll see pages like this where basically the pages have been hacked, and then all sorts of images have been placed. And if you dig down into the code, you can find all sorts of shady stuff going on. So, I decided to take this and do a little test on some of the malware checkers that are listed in the article I showed you. The first one that I went to is this one here called virustotal.com. I ran that site through it, came back pretty clean. This is basically a meta check, so it goes and it goes through a lot of different checks. Notice it shows Quttera’s listing this as suspicious. Quttera is another one of the sites that we’re going to take a look at. Web Inspector, another one here we go to, and boy, it looks like it’s pretty clean so far. And then I’ve gone to Rescan.Pro, which is another resource. We’ve scanned the site and once again, looking good. Alright. Now we’re going to go to the site that we always use when we do a check like this on a client’s website or on a prospect that we’re looking, for example, for a link partnership arrangement. We’re going to go to Sucuri, and a lot of developers know Sucuri. They really know their stuff pretty well. Plugged in the website. Notice, not so clean. “Warning: malware detected. Critical Security Risk. Known Spam detected. Your site is hacked and needs immediate attention. 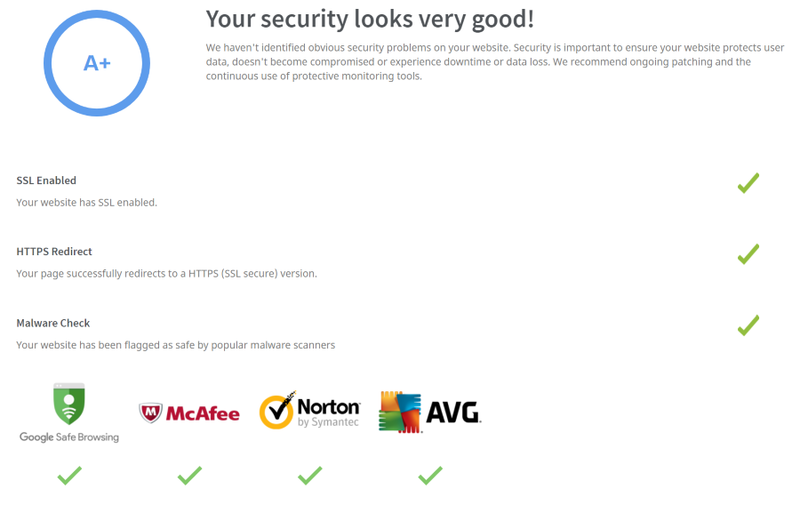 Malicious code was detected on your site.” Notice down here, “Malware detected by the scan and injected spam detected.” So, obviously this site is not as clean as some of these tools would have made it out to be. Now, I have plugged this same homepage of this site into Sucuri, and it’s come back clean, even with this tool. As a matter of fact, just last week I was doing a demo where I plugged this computer in. Sucuri came back and said that the homepage was clean, so I had to go and put an internal page into the checker in order to discover the code. The moral of that is when you’re doing a check on your site, don’t stop at the homepage. Pick a couple of internal pages and run them through a couple of different checkers. Now here, Google has their own what they call a Safe Browsing Report. Notice Cooper Computers came back clean with Google’s own report. But, Sucuri is not the only one. There is Quttera. Remember they were mentioned. It says, “Potentially suspicious content detected on this website.” And you scroll down here and it’ll tell you that it has potentially malicious files that it found on this site. Also, Siteguarding here, another tool, actually gave me an extremely good readout on this site although it’s a little bit on the technical side. It says, “The website is infected.” Now, this is the one that was probably the most surprising to me because they actually identified the infection as “Spam SEO Linking Anomaly,” which goes along with the negative SEO. That’s a subject for another time, but basically the bottom line is they were able to pick up on the infection at Siteguarding. I think I have one more example here. Nope. No more examples. So, there we’ve just walked through a few tools. I would say if you’re in doubt, I would typically recommend Sucuri as my first bet go-to site. But as I’ve shown you, these tools are not entirely perfect, and they don’t claim to be. There’s only so much that a tool can do running a scan, but this will give you a good start in checking whether your website is infected. So, I hope this has been useful to you. Let me know if you have any comments, suggestions for this video or for any others, and definitely subscribe with the big red button. Next to it there’s a little bell icon. Make sure you click on that too because that’s the only way you’ll actually get notifications pushed to you from Google. I also drop a few more resources and links down in the description, so be sure that you click on the ‘Show More’ button underneath the description to see everything that’s available with this video. And definitely come back and check out our other videos when you have a minute. I’ll see you next time. 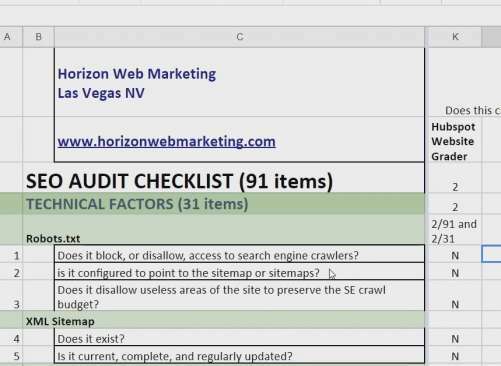 https://www.horizonwebmarketing.com/wp-content/uploads/2018/06/seo-audit-how-to-check-for-malware-e1528220880990.png 394 700 Ross Barefoot https://www.horizonwebmarketing.com/wp-content/uploads/2017/07/horizon-web-marketing.png Ross Barefoot2018-06-07 08:09:232018-07-06 20:54:49Is Your Website Infected with Malware? Free Tools to Help You Check. SEO SiteCheckup is an online SEO checker that is designed to promote a more complete, subscription based set of SEO tools called SEO Toolbox. Their SiteCheckup tool is free for your first use without inputting your email address, but to see the most complete results you do need to create a free account and start a trial period (no credit card is required however). The tool itself does pretty well for a free SEO analyzer, and in this video I’ll walk you through an overview and see how it stacks up on our SEO Audit checklist scoring system. For skimmers and video-phobes (or people that just don’t want to see me talking into a camera), a transcript is provided below. Hi, you probably know that we’ve been doing reviews of tool- a class of tool that we call ‘SEO checkers’ or ‘website checkers,’ and these are basically free tools online where you can plug in your website address and then we’ll come back and give you an analysis of the SEO factors that relate to your site. And some of these are pretty good and some of them, not so much. We’re gonna take the next one that we have in our queue of tools to review. 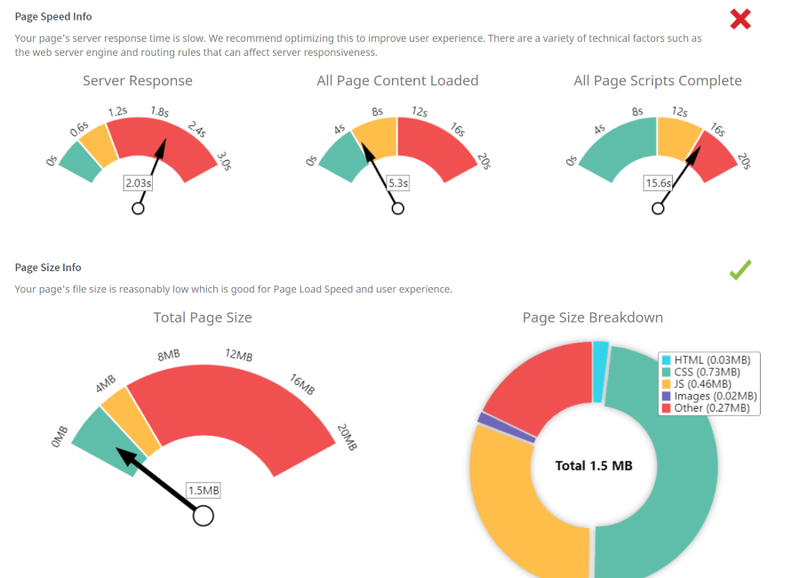 This one is a pretty full-featured tool for what it is, known as ‘SEOs Site CheckUp.’ And so let’s go ahead and see what it gives us and walk through some of the results. So the site that we’ve been using for this is a project site, let me go over here and show it to you. 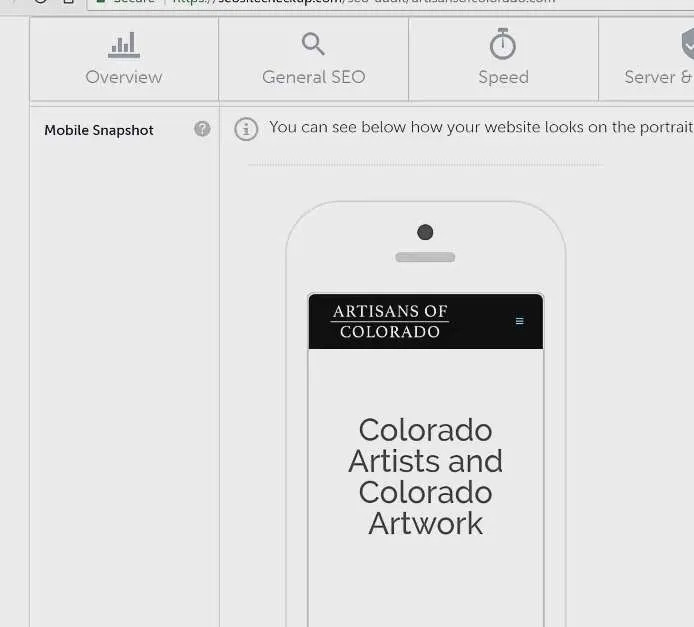 It’s called ‘Artisans of Colorado.’ And this is basically a site that has not been optimized for search, and a matter of fact, I’ve thrown a couple things into this page here, that I would like to see a tool pick up on as being negative factors. Just a couple of little tests to put things through. So let’s go over here and see what we get when we run it through SEO’s Site CheckUp. SEO Site CheckUp basically will give you one free review of a website and then if you log in and create a free account with them, for what they call their ‘trial period,’ then it’ll give you a total of 15 site reviews, according to the information that I’ve read online. Now, when you do this one, like for example, here I did ‘artisansofcolorado.com,’ and it didn’t ask me for an email address to do that, so I liked that feature, I like that I don’t have to plug in an email address. And when I sign up for a free account it doesn’t at that point, ask for a credit card, so I also like that it’s not asking for a credit card. If you’re just doing a one-time check on a site, this would give you some decent information. Now, in this case, I’ve done it without logging in and it will present some ads here because it’s ad supported, so you can see an ad here for a ‘WP engine,’ in the main body of the page, and one on the right. It gives you an overall optimization score on the left, in this case 77 out of 100. And then they’ll do a number of different checks and it gives you which ones have failed, which ones have warnings, and which ones have passed. One of the good things about it, it does have a nice PDF download. So if you click it and do the PDF download, it pretty much gives you all of the metrics that we’re gonna be looking at here, as we walk through this page. It starts out with the most common SEO issues, for example it says, “Meta title, meta description.” Here again, I will give one qualification, which I always do on these tools, and that is none of them really will help you do SEO on your site if you know absolutely nothing about SEO. Now if you’ve got some basic knowledge, they’re very helpful, if you have no knowledge whatsoever, you’re typically gonna have to do a little bit of research as you go. Some of the tools help you with that, some of them don’t. I’ll show you where this tool might help with that. The ‘title tag’ is extremely important [ed: here’s a link to a free course on optimizing title tags] , it is basically just reflecting it back to me. I would imagine if I had no title tag, it would fail me on this check. The one thing it didn’t pick up on, is we do have duplicate title tags on this page, which is a no-no, and it doesn’t show me that a duplicate exists, which I would prefer that it does. It’ll also show me the ‘meta description.’ That doesn’t help you rank higher, but it does influence the way this looks, and that is the snippet that comes back on Google search results page. It’ll also give you some relevancy factors. In this case, relevance is okay. What are the primary keywords that exist on your site? Now in this case, this one is a little less robust than some of the others we’ve checked in, that it will only do single words in this analysis, and it won’t do two, three, or four letter phrases, as some of them will do that and I find that to be useful. Then it does a quick and basic check whether the most used keywords appear in your title and meta description, which is useful. And it’ll give you a visual representation of kind of, what is this page going to be most relevant for, by showing you the words that occur the most on the page. Now wherever it says, “Here get it now,” when you click on that it’s going to take you over to, basically a path where you can set up a free account, a trial account, and I’ll just- before we terminate this review, I’ll show you what it would look like if you do that. It’ll also go down and give you a review of your ‘H1 headings,’ which is great. It says, “Your page contains H1 headings.” This is another area where I wish it would give me some guidance on the fact that there are two H1s and most SEOs, there’s a little controversy here, but, most SEOs would recommend that there only be one H1 on the page, and it does not alert me to that. Does show me what the H2s are. It’ll give me whether there’s the presence of a robots.txt, and farther down it actually does a little further analysis on the robots.txt, which is good. It also looks for the presence of sitemaps. Gives us an alert as to the sitemaps. And these are all technical SEO checks, basically. It’ll look for broken links. Good thing there. On the ‘image alt tags,’ this is where you’re actually gonna get some guidance on what’s important about this metric and how to fix it. So if I click on this ‘how to fix,’ it’ll bring up some more text information, also give me a little tutorial video here and I didn’t look at all the tutorial videos they had, but that one, for example, I looked at, and it was a reasonably good video, about three minutes, telling you about the ‘alt’ attribute and why it’s important, what you can do about fixing it. Same thing with the ‘inline CSS.’ It’ll give you an explanation of why you might wanna take a look at these, the fact that CSS is being used inline and that’s kind of a technical term, and that’s why if you don’t know much about web development, you’re gonna need the little video to figure that one out. So scrolling down farther, I don’t wanna go through every single one of these here, or I’ll make this a 20 minute video, and I’d rather not. So we’ll go down and take a look at- then the next section, when we get to this point, you’ll notice they’ll give you kind of a little clue, visual clue up at the top, that now you’re in the section of the site that deals with speed and it will give me an alert as to whether the size is too large or not. 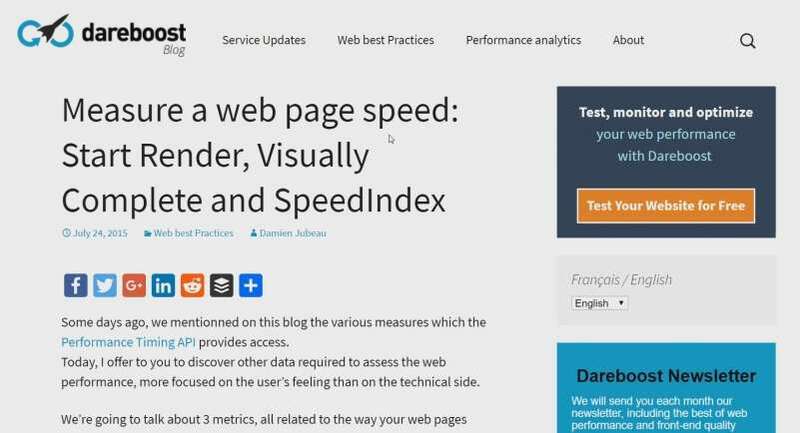 I’ll also take a look at a number of technical factors that influence how fast the page comes up on search. Now if you’re non-technical, this is where it’s- you’re really gonna get into the weeds pretty quickly, in terms of stuff that you won’t understand. 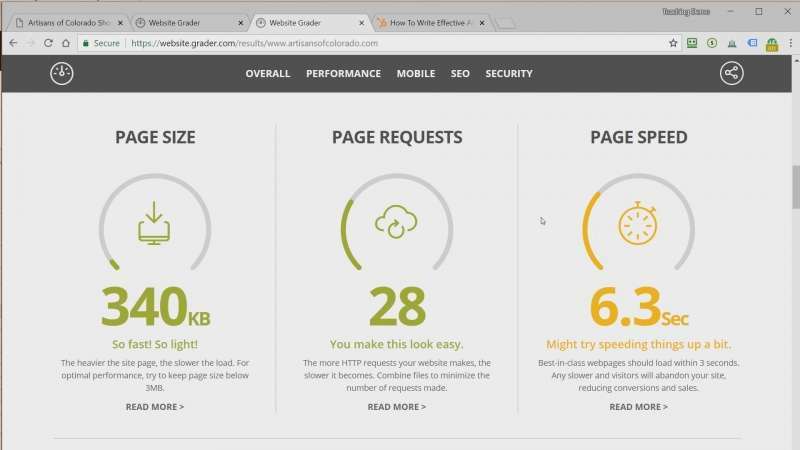 So, but, really they have no choice here, because to know how to make your page load faster, you really have to get into some technical information. So where this would be useful, is if you ran this check and you download the PDF, then it’s very useful to send it to whoever does your website maintenance or your development, and say, “Okay, I see a few alerts on things, like your warnings on particular types of speed optimization techniques.” And you can have your developer give you an explanation as to why these are not being made use of or to just go ahead and make your page faster by addressing these issues. So I won’t linger all over- over all of these because I would imagine most people watching this video are not professional developers, so we’ll go down here and take a look at the server and security. And here’s your little pop-up for a 14-day free trial. And it’ll check to see if you’re running over ‘https,’ in other words, a secure protocol. this ‘URL canonicalization test’ is good, I don’t see this on a lot of the SEO checkers, and that’s something that should be checked, on your site, even by a free checker. Then you’ll go down here, and this is another thing that’s a must have nowadays, and that is, take a look at- it takes a look at whether the site is mobile friendly. Now in this case, it is picking up on the fact that one of the key elements that indicates whether a site is mobile friendly, is missing. From this site, it gives me a preview window, which I like. And then we go into an advanced SEO section here. And it shows a number of different technical SEO checks that you would take a look at if you were trying to get into a more advanced level of SEO. One of the things that it does that a lot of sites don’t do, is it checks whether SPF records are set up. And this is very important if you’re doing a lot of, for example, email marketing. If your SPF isn’t set up correctly, probably more of your mail is gonna wind up in your recipient’s spam folders. It’s not really an SEO thing, per se, but I- it was kinda nice that they did a check on that. And so, here we get to the bottom, and there again, it’ll give you a review of what your medium priority fixes are, what your high priority fixes are, and that’s these here. And on the social media check, it basically- we didn’t spend much time on that, but it shows whether you’re tied into social media accounts or not. And that can influence SEOs, so it’s gonna tell you you fail if you have no social media presence. So any case, that’s what it looks like when you do the free check. Now if you have logged into their tool and set up a free account, then you get something else that’s very useful and that is ‘the total back links.’ And before, it didn’t really give you, on the free checker, it didn’t really address back links at all. And I think that would have been a deficiency except for the fact that if you create a free account then you can go into it and check on the back links. Looks like it’s actually telling me I’m not signed up, here. And I had created a free account. Let me sign in here real quick. Okay, so I signed in with the test account that I put up. Now, one thing that I will tell you, is I did actually a dry-run on this video a couple of days ago. I created a test account, a trial account, here, and it expired after two days, even though the website tells that I should’ve had a 14 day free trial. I don’t know if that’s gonna be your experience or not, but, just be advised, you might wanna make use of it right away. Now if we go down here, you’ll see- now it’s telling me what the SEO score was with the check. And when you set it up for a free trial account, it’ll ask you for a few keywords, it’ll allow you to select competitors and see where you stand- and right here it shows the competitors, where these companies stand in relationship to our site, when it comes to SEO factors. And so that is nice, that you can do that. Again, you’re not gonna be able to keep doing this unless you sign up for a paid account. And here we’ll go- now we’ll try again, the ‘back links’ check and you can see what it will do, is it will give me the total number of back links, the referring domains. It’ll give me the domain score on this. Now, I couldn’t find out exactly where this domain score was coming and just by the nature of these I have not been checking with the companies, if someone from the companies can tell us that and put it in the comments, that would be great. And then down here it’ll show me where the back link URL is, the target that it’s pointed to. So, a lot more stuff when you get into it, or at least some more stuff. Along with a ‘keyword position tracker,’ for the keywords you enter. I think you can enter up to five. All in all, I would say for a- for free access at this level, it’s a pretty good quality tool. 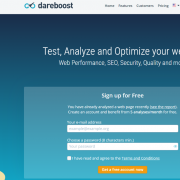 It checks a lot of the stuff you would expect a free SEO checker to do. 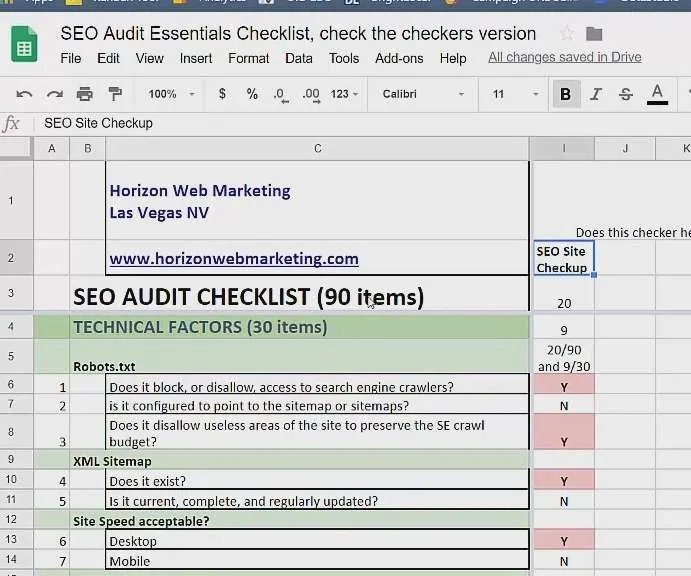 Let’s go over now, and take a look at how it ranks on our SEO audit essentials checklist. Now this is a free resource that we give you and it’s for a professional SEO audit, so, you’ll notice here our SEO audit check list has a total of 90 different items to check. SEO Site CheckUp actually is a tool that you could’ve used to clear 20 of these and when it comes to technical factors, we have 30 items on our list, SEO Site CheckUp would’ve cleared, or helped you to clear, nine. And as we go down here, you can see, and I’m not gonna tell you, every one of these again, in interest of time, but a lot of the items on our checklist could’ve been helped by using this particular tool. 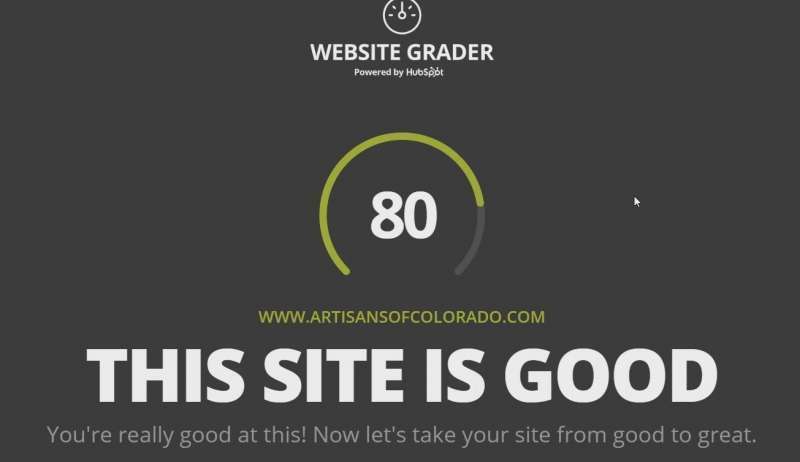 Now this 20 is actually not a bad score, you know, it’s a small minimum, but that just illustrates the fact that there’s a lot more to doing an SEO audit than simply running an SEO checker tool over your site. 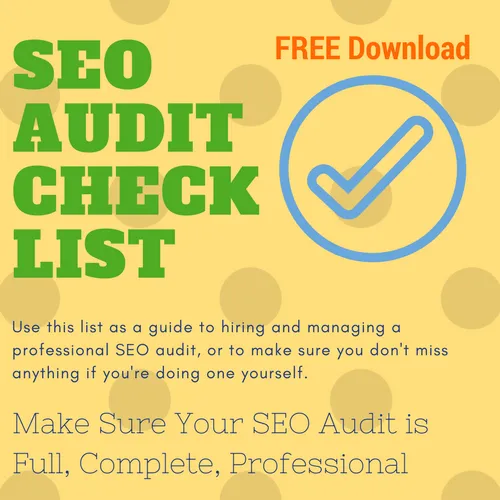 Just as a reminder, the SEO Audit CheckList is a free download that we offer, a resource that you can use to go through and have a look at the factors that affect your ranking. SEO Site CheckUp is a good starting point for getting into that audit checklist. So, in any case, I hope that this review has been of some use to you, and, the SEO Audit CheckList that we offer, is a resource that will be of even more use to you. And if you want to see other reviews and how-to videos and so forth, that we put out in the interest of helping to train business people to do their own SEO, please subscribe to the channel, with the big red button underneath the video, and also, follow the links in the description for this video, in order to get those free resources. 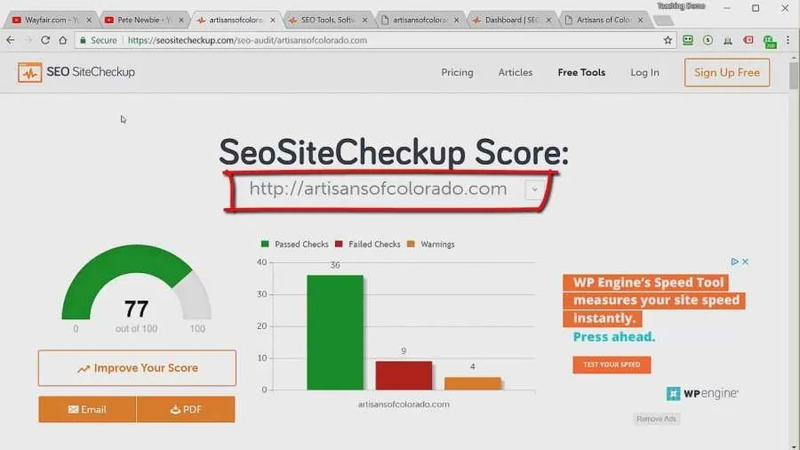 This video review is part of our ongoing series covering website SEO checkers, tools that will check the search engine optimization of a page or pages on your website to see how well they measure up against SEO best practices. In previous video reviews, I’ve covered Neil Patel’s SEO Analyzer and SEO Centro’s SEO Analyzer. This time around we’ll take a look at an Australian SEO Checker that’s been around since 2012, SEOptimer. And if you, like me, would prefer to skim text, a verbatim transcript appears below the video. Do you use any of these tools? Leave us a comment. Do you want us to review your favorite tool? Leave us a comment about that too. 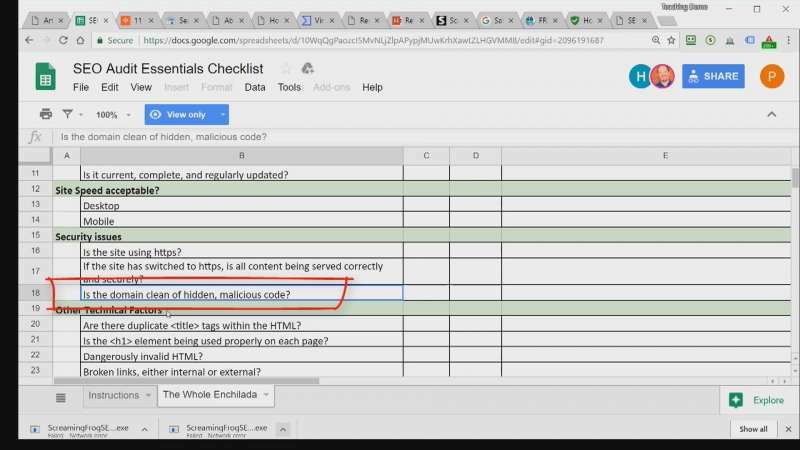 And if you’d like to download our SEO Audit Essentials checklist (which you’ll see in the video), you can get a copy by visiting this page. 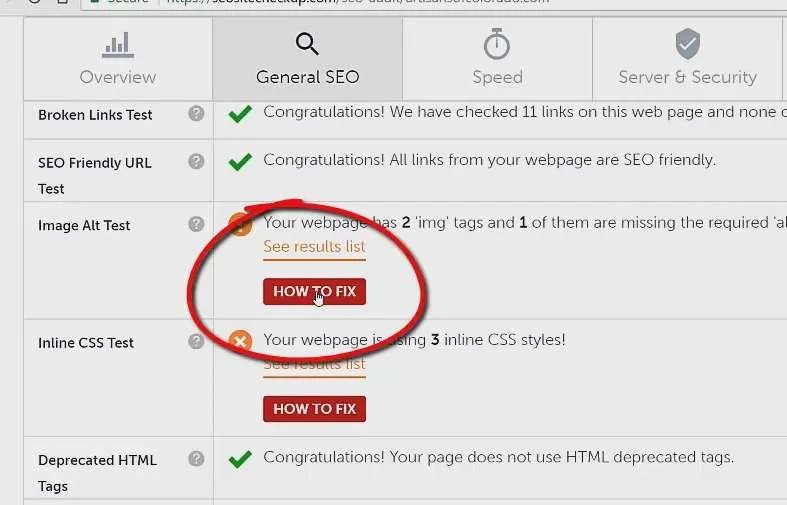 With a sleek, modern interface, SEOptimerclaims to have the “grade to rule all” grades, and that’s a pretty ambitious claim for a free tool that does an SEO check on your website. Now, I don’t really know this company and I don’t even know whether to call it S-E-O optimer or S-E optimer, but any case, we’ll answer the question about the grade to rule all grades in just a minute. Hi. I’m Ross Barefoot with Horizon Web Marketing and the Horizon Web Marketing Academy and we’ve been going through some of the free online tools that are available that will help you to do an SEO check on your website. So, the next one that we’re going to take a look at is SEOptimer and we’re going to just take a quick walk through it and see if it does what it purports to do, which is to give you that grade that rules all grades. So, when you arrive at the homepage for Seoptimer, you’ll see that it’s a very modern website. It looks like a fair amount of budget has gone into developing it and if you poke around in their website a bit, you’ll see that this tool’s been up and online since 2012, according to the site. The company is in Australia and they have a number of free tools available on their website and they also do SEO consulting services. I’m not really familiar with them as a provider. I don’t really make a recommendation or a criticism, but in my other tab here, we’re going to take a look at a project that I’ve plugged in to see what it looks like when we do an SEO check on that site. In this case, it’s a site we’ve been using with other similar checkers. It’s called Artisans of Colorado. Right at the top it gives me a letter grade, which is fairly typical for these types of tools. It tells me that I’m ranking a C+, that my page could be better, which of course, is something you could say just about any website that’s out there. Let’s just scroll down a little bit and you can see how they’ve broken this down into a number of different categories. 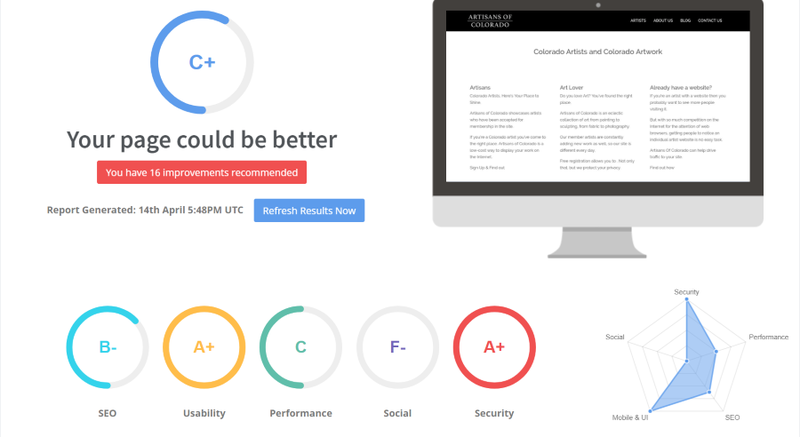 SEO, usability, performance, social and security. Kind of ironic social and security are next to each other, at least for the U.S. market. Now, we’ll drop down, we’ll see the overall grade and then we’ll see that they examined a number of the basic things that should be given attention to. In the header of the website, they’ll take a look at the title tag. They’ll give me a printout of what it contains. Recommendation on its length. Meta description tag. It’ll give me a notification if there’s no title tag or no meta description tag. Drop down a little bit farther here, and it’ll tell me whether there’s a good distribution of text in the header tags for the website. Now, one of the things that I did pick out is it’ll tell me that I have multiple H1 tags. It won’t necessarily give any sort of warning with regard to those, and one of the things that I’d like to see here that it doesn’t have would be, a better inventory right at the front side of these header tags. But, it does have it buried, just a little bit deeper, so in this interface, if I click where it says show more details, there I will see the inventory of contents of those various header tags. Definitely nice the way they have that. You just have to know to click on the blue button to show more details. 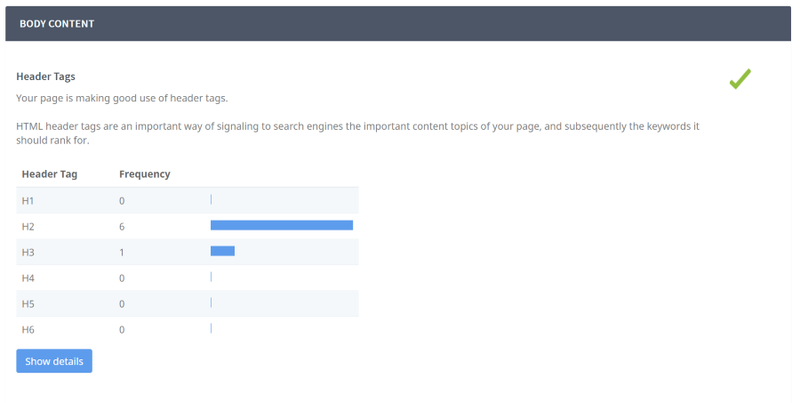 The keyword, consistency, will show me some distribution of words and which ones are most common on the page. That’s a good thing. It would be nice if they had two and three keyword phrases as well, but the single keywords are better than nothing, definitely. It’ll also give me a warning on the low content on this page and certainly this page does have minimal, textual content, so that’s a valid warning. On the image alt attributes, it’s a similar situation to the header tags. You’ve got to click to show them. The one thing here that I’d prefer to see is I’d like to see what the alt attribute says. In this case it’ll tell me which image on the page, this one right here, does not have any text in the alt attribute, but it won’t really give me anything in terms of a recommendation. 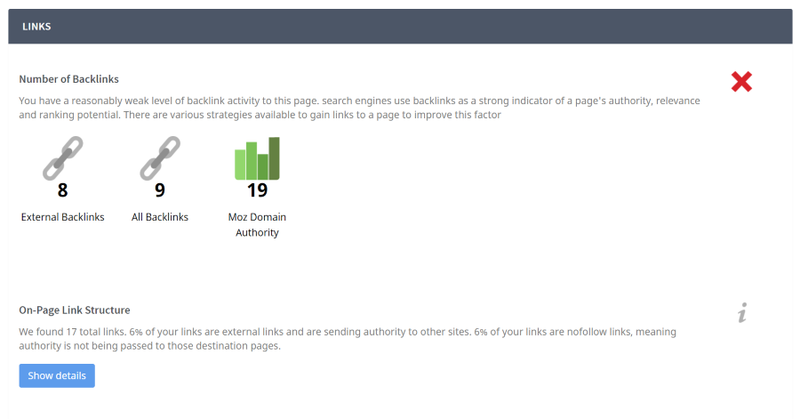 It also has a section that tells me about the number of backlinks. It gives me a nice overview, here, of Moz’s domain authority, which is one of the industry’s standard numbers, measuring how high quality the backlink structure is. Dropdown here for the link structure. It’ll tell me, and I like this, that it gives me all the various links on the page, along with whether they’re flagged as follow or no-follow. Now, if you’re a beginner with SEO, a lot of this stuff that I’ve been rolling through here, you’re probably going to need to do some research and know how to analyze some of theses elements. And if you’re a programmer, you can use this as kind of a heads up, if you’ve got over usage of some of these elements. Dropdown a little bit here and it will take a look at your social profiles. In the case of this site, we don’t have anything going on, so it’s giving me a red flag on all of these various elements. Then it does have a good check of security. It’ll tell me whether I’m using secure protocol, the SSL right here. It’ll tell me whether HTTPS has been set up correctly and it’ll also tell me whether I’m being reported as having malware embedded on my site. I think that’s very useful. Most of the checkers don’t give us this type of feedback, so I think in that case, it was superior to some of the other tools we’ve taken a look at. Then, it will give me an overview of some of the various technological components used to build the page. Some of the various, sort of, techy details that are related to it. Then it’ll give me a number of recommendations. In this case, they’re good recommendations. Again, they’re pretty minimal, in the sense that they’ll tell me to execute a link building strategy, but they don’t really tell me how to do that. And to be fair, it’s really hard to teach someone how to, for example, do a link building strategy on a tool that’s a free one-page checker. So, a number of these things here are very good to take a look at. Not going to try to explain each of them. What I am going to do is, I’m going to see how does this stack up, and this is kind of a new thing I’m doing on some of these checkers, in that I’m going to go to our SEO audit checklist. Now, this checklist is a free resource, that we make available to anyone, and as a matter of fact, you can download a copy of this for yourself, and what I’ve started doing is taking a look at our checklist, which has 91 different items on it, and seeing is SEO, and I put here, this is an incorrect statement here, by the way. I need to stop myself right now. See where it says SEO Optimer up here? I kept calling it, in my mind, SEO Optimer, and then, if you go to Seoptimer, you’ll actually go to a site that downloads malware, so please, let me do a verbal correction here that this site, as a matter of fact, I think I’ll do it even though I’ve got the video running, I’m going to change this right here, right now. It’s SE Optimer.com, so make sure you get it right. Don’t make the mistake that I did. On our 91 checklist, basically, I’ve got two different components that this audit checklist is broken into. The whole thing and then also the technical side of things. So, for technical SEO factors, and most of these checkers are focused on the technical factors, I have 30 different points that we check when we do an SEO audit on the site and they hit nine of these where SE Optimer can actually help you, and you’ll see some of them here. For example, the presence of an XML sitemap. 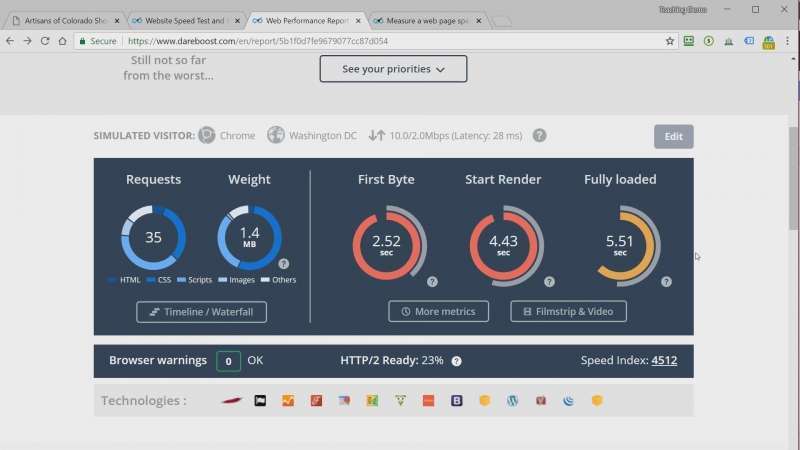 Whether the site speed is acceptable or not. Is the site using HTTPS? Is the domain clean of malicious code, and again, most tools won’t do that. Dangerously invalid HTML, broken links. Is the site mobile friendly? And these things over here, you’ll see them flagged, yes, and yes means that SE Optimer, if you’re using it, could actually help you to clear those items if you’re doing your own audit checklist. You can see, however, that it’s not going to really hit everything that a professional SEO audit would hit. I can just scroll down here and kind of give you a general overview of all the items that you still need to pay attention to, even if you’re running it. So, although I really like a lot of aspects of this tool and I like the fact that it’s modern, well maintained and so forth, I probably would not agree that it will give you the grade to rule all grades. On our comprehensive SEO audit checklist, it hit 16 out of 91 points. On our technical checklist, it hit 9 out of 30 points. So, good tool, but you will have to do more if you’re going to do a thorough SEO audit on your site. By the way, if you want a professional to do an SEO audit for you, definitely come to Horizon Web Marketing. That’s the type of thing we really love digging our teeth into. And, if you want to learn how to do one for yourself, take a look at the Horizon Web Marketing Academy, that’s the training arm of Horizon Web Marketing, where we teach business people and web masters and basically anyone who has an interest, how they can master a lot of these issues with regard to search engine optimization and perform them on their own or with their own team. Again, my name is Ross Barefoot with Horizon Web Marketing and Horizon Web Marketing Academy. I appreciate you taking the time and subscribe, down at the bottom, so that you can get the next review, that we do have a website grader and you can stay on top of the best tools that are out there at the lowest cost. Thanks again for watching.